He was attentive to my needs and very knowledgeable. Doctor Ali is very knowledgeable, friendly, and helpful. He's very easy to talk to and I highly recommend him. Communicates well, listens patiently, friendly, and efficient. Great doctor! Amazing everyone was super sweet and helpful! I had a great first visit with Dr. Ali!! He took his time getting to know me, and my medical history. I did my research on him prior to choosing him as a Dr., and I have to say he has 5 stars ratings for a reason. He is beyond qualified and is highly recommend! He shared helpful advice with me in reaching my medical health goals, he was very personable! The office staff were very friendly, and the office is very clean! I am originally from Boston where we have the absolute BEST medical care, prior to finding Dr Ali I struggled trying to find a good primary care Dr in LA. I am so happy that I found Dr, Ali, he has definitely ended my Dr. search. I highly recommend him!! Incredible doctor. Very understanding and knowledgeable. Met with Dr. Milanesi, she was wonderful. Kind and professional. Would recommend this office to anyone looking. Dr. Ali was VERY attentive and helpful. Welcomed me to LA an set me up immediately with a health plan to start me on my weight loss journey. Also his staff was EXTREMELY attentive and humorous. I appreciate their patience. He is a FANTASTIC young cool doctor. I recommend his services. I know I made the RIGHT DECISION. it's the least stressful, fastest, and easiest physical I've ever had. Thanks for being so comforting. Doctor Ali's office is neat and clean. The receptionists are friendly and efficient. The whole process was stress-free and I left in half an hour with the help I needed and a new general doctor. Fantastic service and overall exceptional experience. Thank you! The best Dr. I have ever had! My visits are always very cheerful & welcoming right from the front desk. Dr. Ali's bedside manners are some of the very best that I have ever experienced. Dr. Ali, is always in a very upbeat mood & welcomes his patients to share the very same experience while in his office. The entire staff is very professional and the wait for your appointment is minimal. 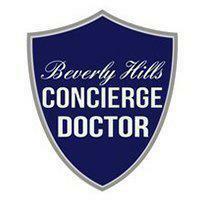 Dr. Ali, is thuro and is easy to understand your diognoses and will never make you feel rushed. I recommend Dr. Ali to anyone who is looking for a new family doctor, or is unhappy with whom they may currently have... Another of Dr. Ali's assets is that he is always on time. As always, 5 stars. Thanks for all the help! AMAZING! AMAZING AND DILIGENT AS USUAL!